I feel very Edward Lear-ish at the moment, because I have been feasting on quince. Stewed quince, baked quince. If you bake quince for hours the fruit slowly turns a gorgeous deep pink. I’ve been racking my brains as to exactly which shade of pink best describes it – the closest I can come is to compare it to pink grapefruit. It’s a clear, delicate pink, but a deep shade. Quince are a winter fruit in South Africa, and I have a vague memory of seeing them grow on an untidy hedge in a small country town. I’ve never known anybody who grew quinces. It’s only during the last two years they’ve been available in the shops. A clever farmer has cottoned on to the idea of growing the fruit commercially. They’re an old-fashioned fruit, and in bygone years, were turned into jams and quince paste, which I think was eaten with venison dishes. They are the very devil to prepare, because the round fruit has a consistency somewhere between a cricket ball and a granite boulder. The peel is citric yellow and quite thin, so I’ve adopted the strategy of scrubbing them vigorously to get rid of the greyish bloom on the skin, wash the fruit, and leave them unpeeled. Then I cut them into quarters and hack out the small apple-type brown seeds in the centre, which are surrounded by a gritty coating. It’s best to get rid of this, because the gritty bits are virtually unchewable. I bake them in the oven with a handful of sultanas and sticks of cinnamon, with a teeny bit of water, or sometimes I stew them in a cast-iron pot on the stove top. Quince have to be cooked. They are inedible raw. But once cooked, they are worth the preceding toil and pain. They go well with yoghurt, custard, cream. You can put them into tarts, or make a fruit cobbler. I suspect they would also do well in a thick syrup, with booze added – both syrup and booze are on the forbidden list for me, but the rest of you can experiment. Bon appétit! I’ve always wondered what the word runcible meant. 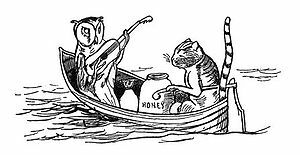 My reliable OED declines to offer an explanation and something tells me that – coming from the mildly crazy Edward Lear – he probably invented the word. Runcible… might it have been a twisty spoon? Or engraved with runic emblems? Or specially fashioned so that the pussycat’s claws could hold the spoon? Or was it just deep enough for an owl-shaped beak to pluck the contents from the spoon? We shall never know. 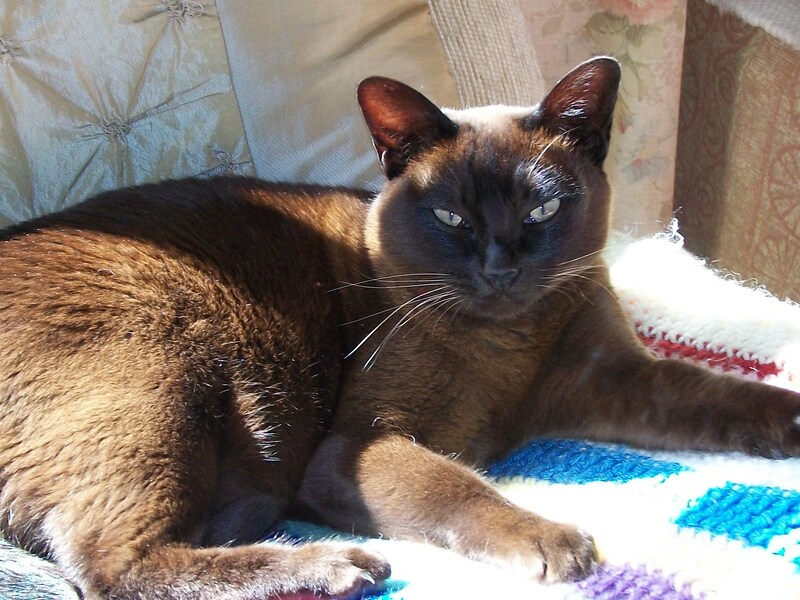 By the way, The Owl and the Pusscat is Chocolat’s favourite poem, and my second blog post titled What my cat is reading appeared way back when on 24 February, 2011.